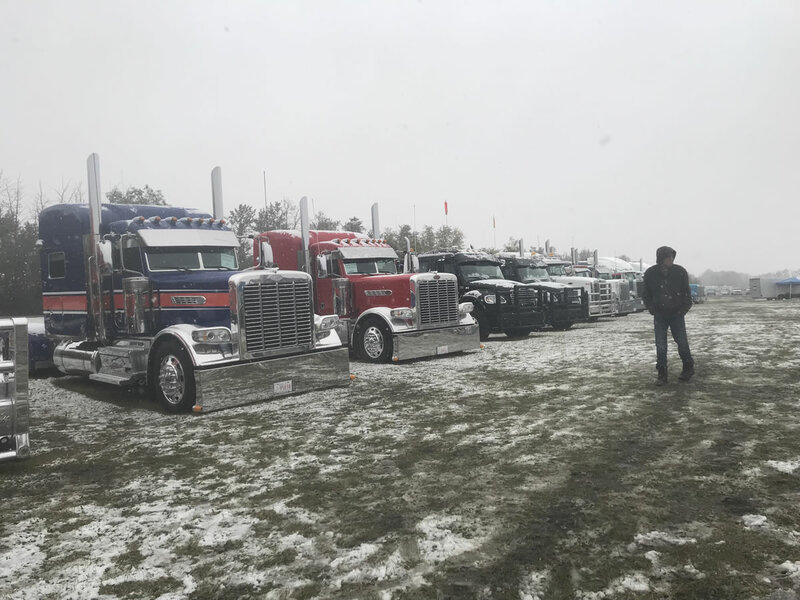 Great Truck Show, Darn Weather! 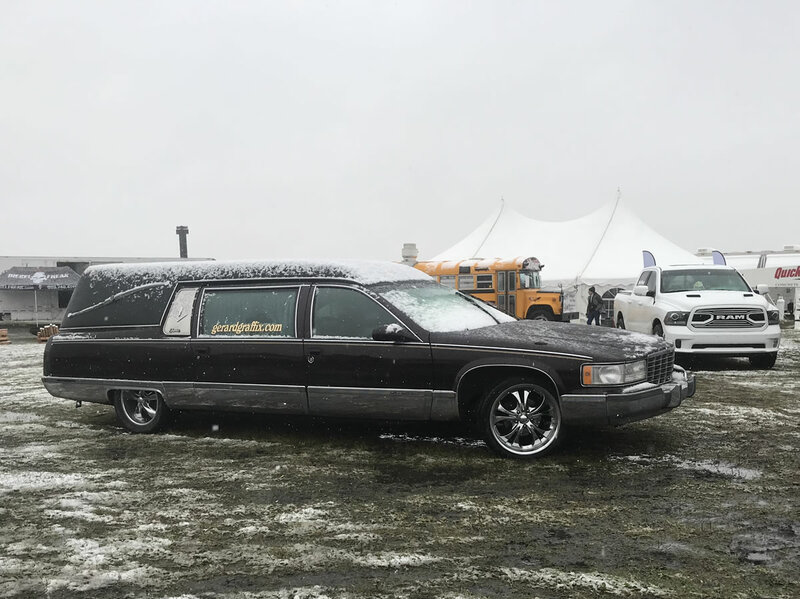 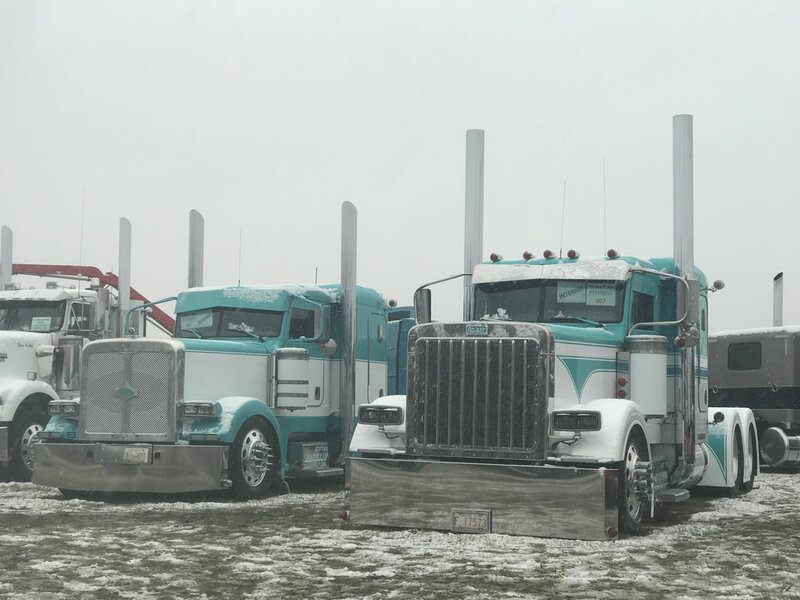 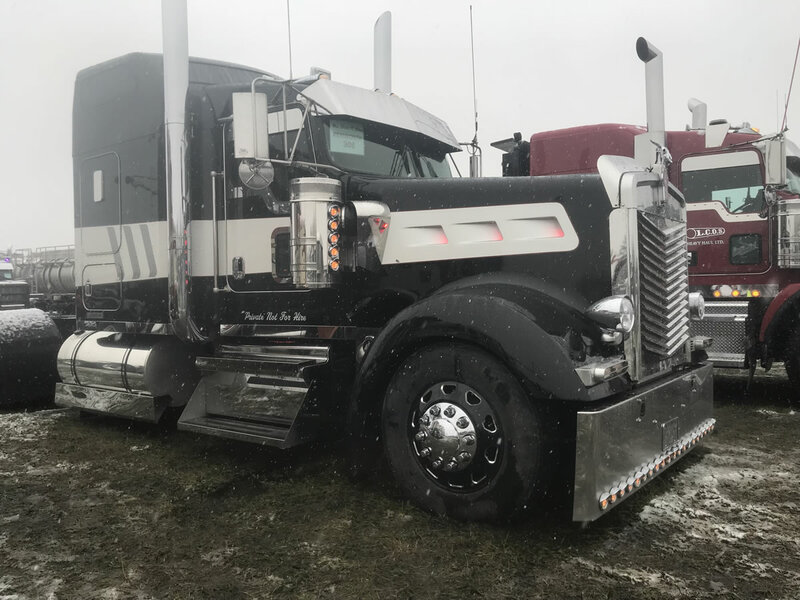 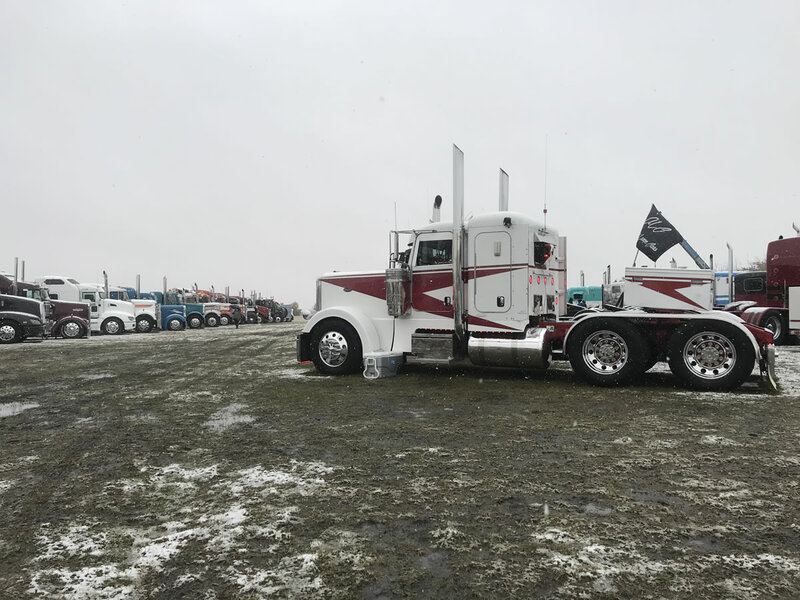 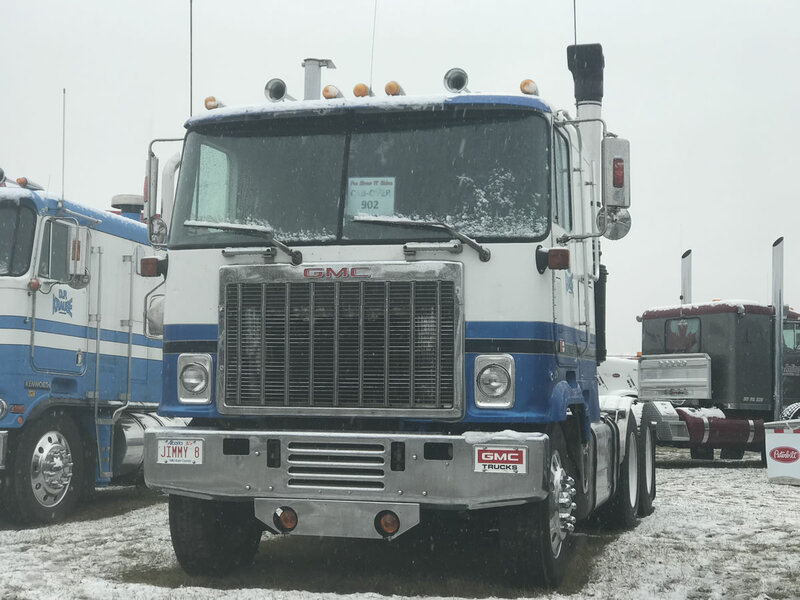 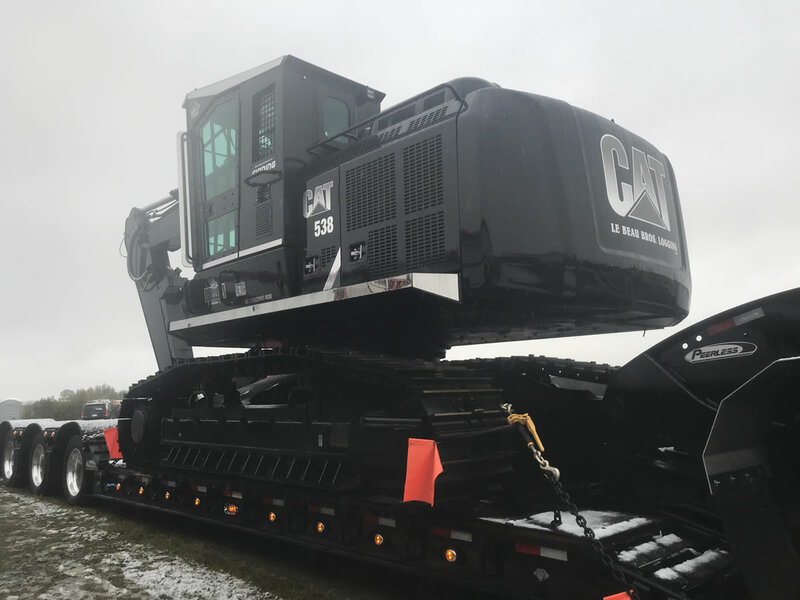 We enjoyed seeing all the trucks out for the 2018 Pro Show N Shine Truck Show at Castrol Raceway in Leduc (south of Edmonton) over the weekend. 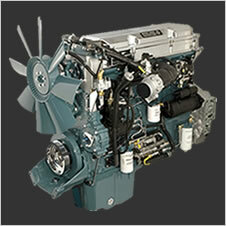 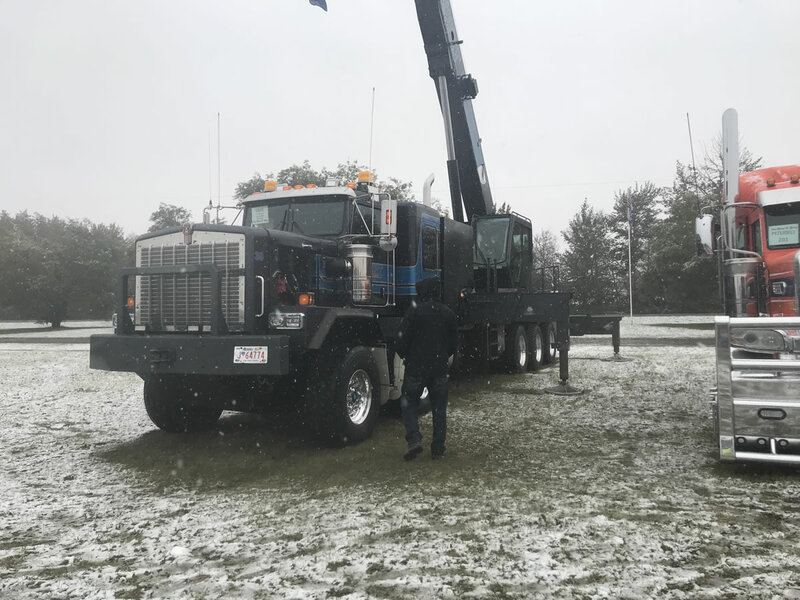 Unfortunately the weather didn’t cooperate Friday and Saturday. 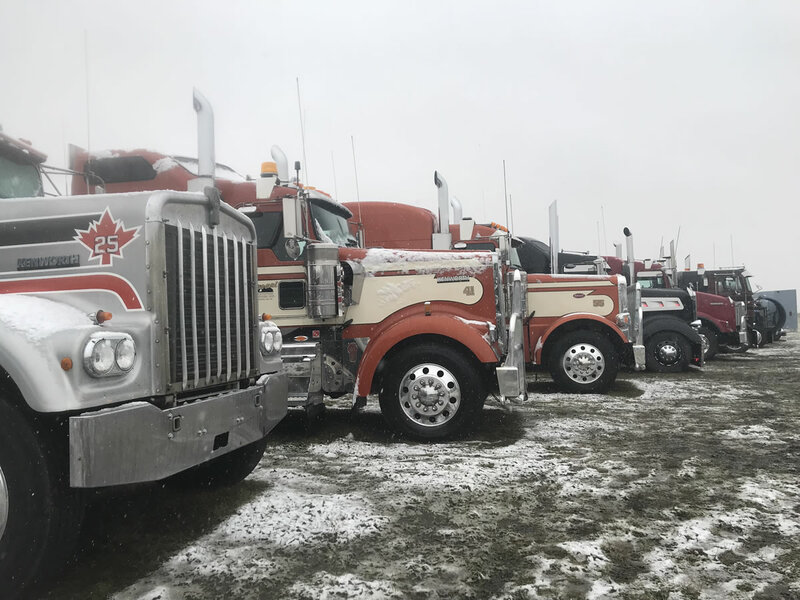 Snow wasn’t sticking on the ground which resulted in a soggy mucky mess for the smaller than usual crowds to wander up and down admiring the isles of assembled trucks. 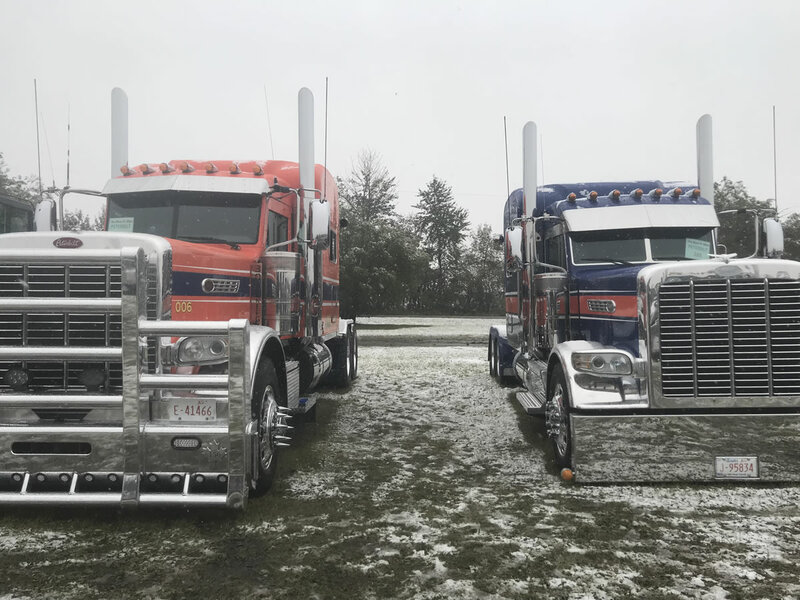 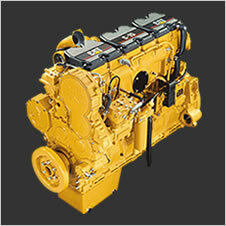 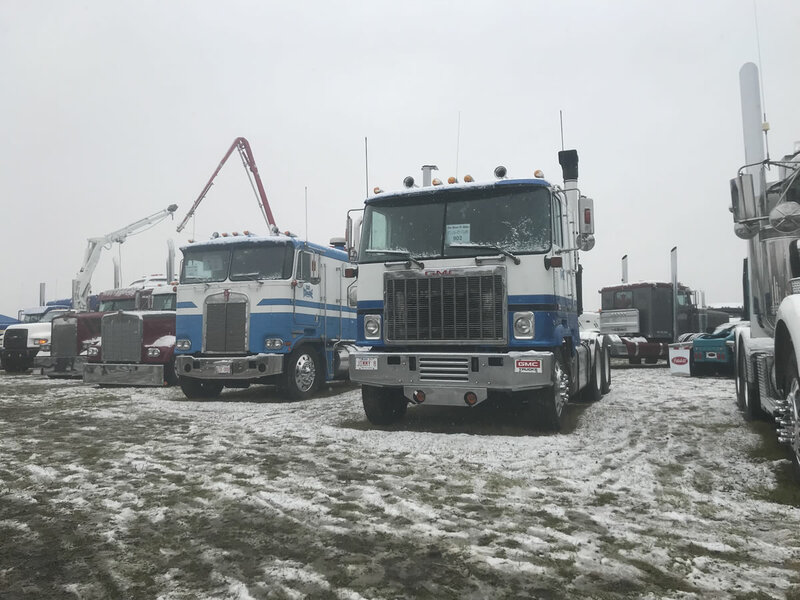 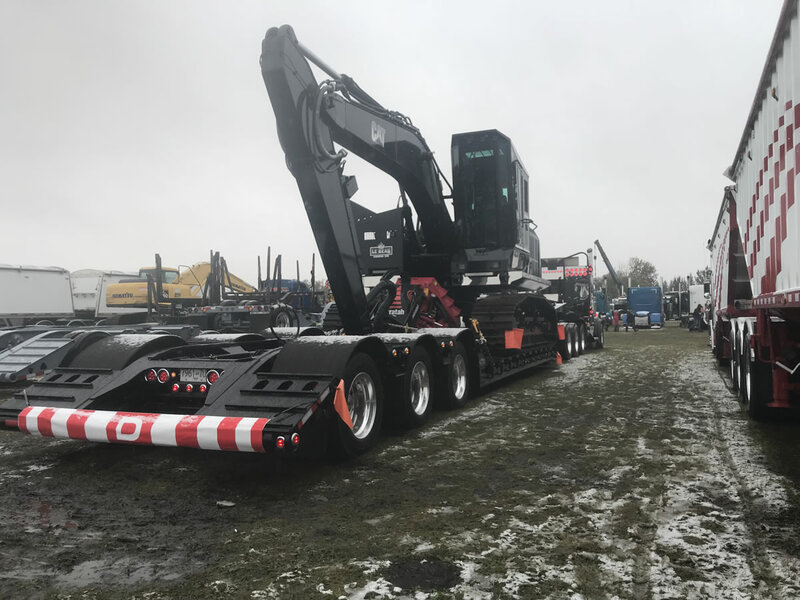 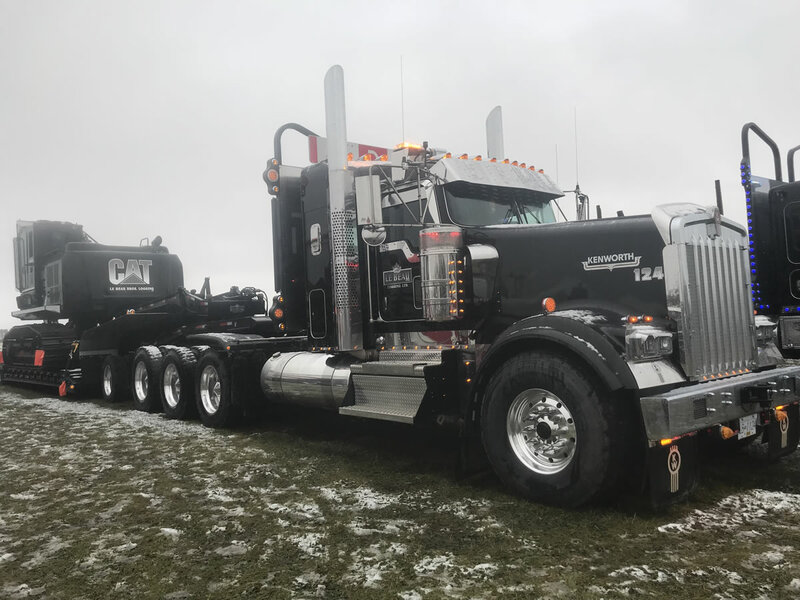 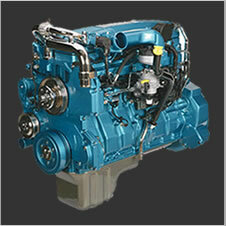 We know a bit of early winter never stops truckers so they were all out in force with a range of trucks from old to new, concrete pumpers, mechanic trucks, crane trucks, a lowbed with a matching custom painted Cat processor, logging trucks, winch trucks, crane trucks and highway trucks. 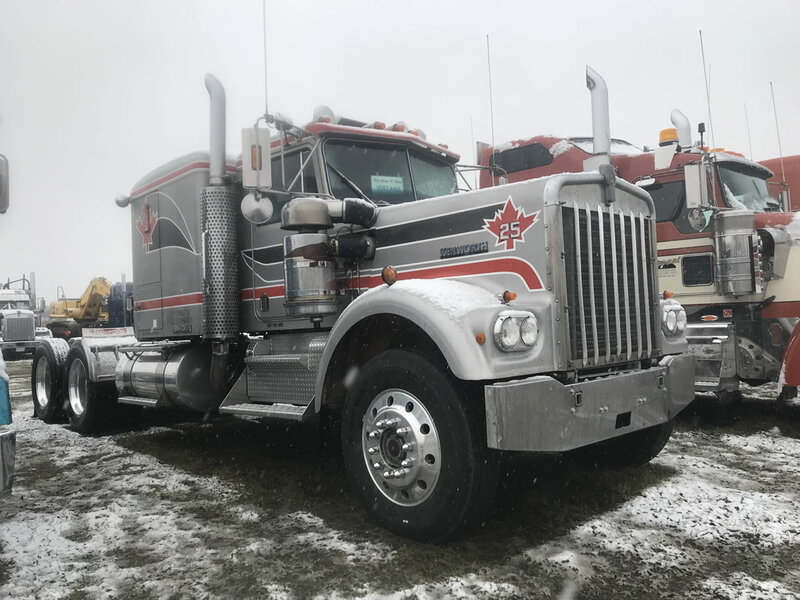 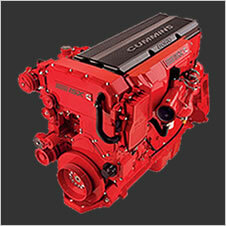 Chrome, custom paint and so much pride, attention to detail and time spent making each truck unique in its own way. 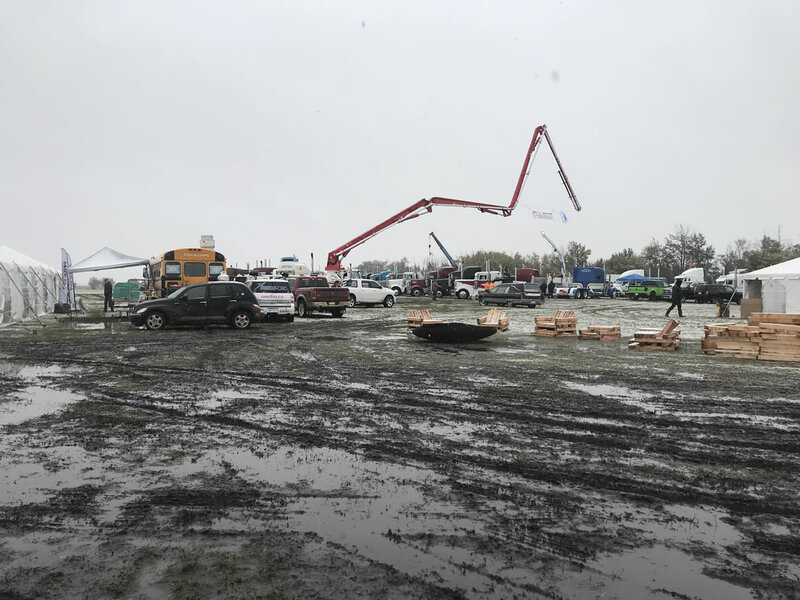 Hope everyone has their trucks cleaned up after having to chew their way out of the site on Saturday afternoon. 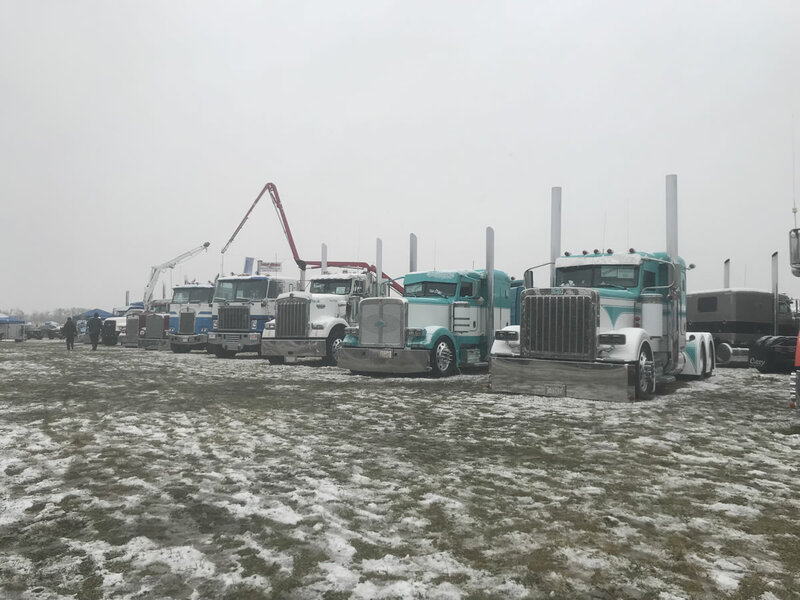 Hats off to Lesco Distributors for all the work that goes into an event like this as well as the vendors and truckers for braving the elements.